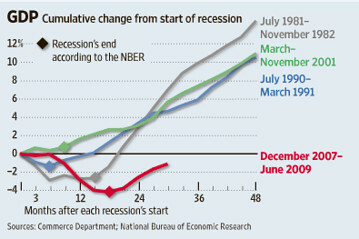 The NBER announced today that the recession ended in June of last year. This was the longest and deepest recession since the Great Depression at 18 months and 4.1 percent of GDP. The poor rebound in payrolls is he reason for the longer than usual lag in announcing the end. The NBER committee waited until the national accounts were revised. So we have been in recovery for over a year. It does not feel like it. Of course, we still not have exceeded our old peak of December 2007. The economy is still a little over 1% below the previous high. Interestingly, the stimulus from the Federal government did not take effect until after the end of the recession. If we slowdown again, it would officially be a double dip. We all want more choice over less. We also will easily make the same choices as others when faced with similar situations. We feel better when we have believe we have more choice. Yet, when given choice, we often have a difficult time exercising our use of different opportunities. This is often at odds with the standard economic model and what we think should apply in the consumer society. More is not always better. We want the appearance of control. Sometimes when choices are made for us, we find the situation more workable. 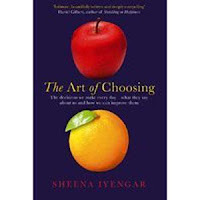 The Art of Choosing discuss many of these complex issues. The book moves across a number of broad topics and could have been clearer and more focused, but it a refreshingly different perspective to the standard choice dogma. Two quotes and themes I found interesting. One, the idea that choosing is creativity. and Two, limitations on choice may be good. "To invent is the discern, to choose" Henri Poncare To choose is to invent. Choosing in creative process., one through which we construct our environment, our lives, ourselves. erect at the mast block, lashed by ropes to the mast. then lash me faster, rope on pressing rope. In the first case, choice makes us who we are. In the second case, we often restrict ourselves as a protection against too much choice or the wrong choices. 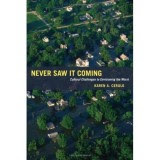 Never Saw it Coming: Cultural Challenges to Envisioning the Worst by Karen Cerulo explores another approach to behavioral economics through looking at the sociology of tail events. Her strong view is that we are inherently optimists so that we discount the chance of a large negative event. We do not believe that worst case scenarios will occur. This optimism is reinforced by cultural practices. We create environments where it is hard to be negative. It is not just an issue that we make behavior mistakes as individuals. We actually institutionalize our behavior as optimists. Cerulo argues that there is positive asymmetry in societies which cause individuals to have a tendency to focus on and exaggerate the best. This asymmetry causes us to avoid discussing or believing that the worst could happen. The positive view is the dominant way of seeing events. Positive asymmetry exists with our loves, our parenting, and in almost every part of our daily routines. So when we are asked to make worst case scenarios we naturally will be more optimistic or reduce the chances of a bad event happening. Positive asymmetry will occur in small groups which are subject to group think. Risk shifting and lack of intervention all exist because we are less willing to think the worst. No one wants to be overly negative in a group. There are some exceptions to this asymmetry like medical practitioners and computer programmers who seem to be able to rise above the natural positive tendencies They show a tendency to look for problems whether through diagnosis of disease or bugs in programs. They have a formal knowledge, high individuality, a service orientation, and open boundaries that make it more likely that they will be able to look for the negative. 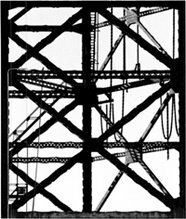 The author argues that symmetrical vision can be achieved but it takes a high degree of work and self-analysis. This is not different from what many other decision books will tell you, but the stress on group dynamics and cultural aspects provides a slightly different perspective.